This game will give you many hours of enjoyment. 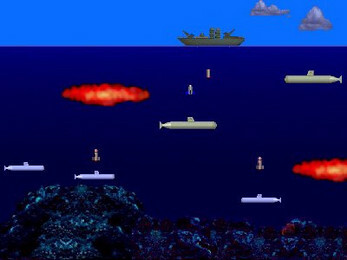 You control a destroyer at the top of the screen. You must move out of the way of deadly underwater missiles that are launched from enemy submarines. 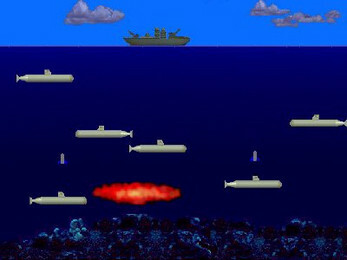 You must destroy the enemy submarines by hitting them with depth charges you drop.